Knowing how to search for blogs can save you lots of time and effort. With bloggers covering almost every topic imaginable, it can be difficult to find those that interest you. Simple blog search tools can help to narrow down the field and deliver blogs that you'll enjoy reading and subscribing to. The exact numbers vary depending on the source, but it's safe to say that hundreds of new blogs are started each and every day. Bloggers start up new blogs to cover professional topics, share experiences, make money, and to build their brands. Whether you're interested in personal blogs or those that can offer you advice, it can be tough to find those that appeal to you. Blog searches work just like regular search engines, picking up on keywords and phrases that match what you're looking for. Search tools offer varying options to customize searches, subscribe to blogs, and remember your preferences for future use. The most popular search tool for blogs is Google Blog Search. It's set up much like the familiar Google search engine and updated in real time. The homepage offers a variety of topics that you can browse through, along with links and excerpts from newsworthy posts. You can enter your query at the top of the page and quickly get results. The thing to keep in mind with Google Blog Search is that most of the results will point to specific posts rather than entire blogs dedicated to the topic of your search. The results page lists a handful of related blogs at the top, followed by pages of individual posts. 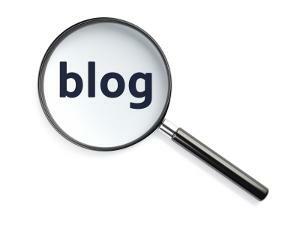 There are a variety of other search tools that cater specifically to blogs. If you're wondering how to search for blogs, try one of these sites. Technorati has become very popular with users, but a common complaint about this blog directory is that it puts too much emphasis on corporate and professional blogs. Still, if you're looking for popular blogs that focus on your own topics of interest, it can be a good place to start. The Technorati blog directory is broken up into categories and sub-categories, where you can browse subjects or narrow down a specific search. Once you've found a few blogs that interest you, there are many other ways to branch out and find even more. Here are some quick and easy suggestions that will have you finding favorites in no time. Check blog rolls - Blog rolls are lists of related blogs that you'll find in the sidebar of many blogs. In most cases these links are personally selected by the blogger. Social media sites - Social media sites like Twitter and Facebook are popular gathering places for bloggers. On Facebook there are lots of applications that will help you find blogs by subject, such as Networked Blogs. For Twitter, use an application such as WeFollow to find blogs. Incoming links - If you have a blog yourself and have access to your blog statistics, check the incoming links. These are the sites that others are coming to your blog from, and many of them will be related to your subject matter. With the sheer volume of blogs and tools to help you navigate them, it's easy to become overwhelmed. The best way to approach a blog search is to try one tool or method at a time and see which ones work best for you.